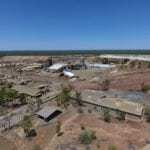 Red River Resources has delivered first zinc concentrate from the relaunched Thalanga mine in Queensland. The company started production of zinc at Thalanga last month. It is selling the first zinc to Trafigura under an offtake agreement between the two companies. 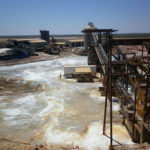 Red River managing director Mel Palancian said the company achieved first deliveries of zinc concentrate after starting production ahead of schedule and under budget. “Red River has no debt and a cash balance of $15.6 million at the end of September, so our ability to generate an income from concentrate will fund exploration across our portfolio as we aim to find the next generation of deposits in the Mt Windsor belt and further increase our resource inventory,” Palancian said. Zinc prices have surged in 2017. The base metal was worth $US3295 a tonne at the end of overnight trading, almost 30 per cent higher for the year. Red River acquired the Thalanga property in 2014, about two years after the site was placed under care and maintenance. 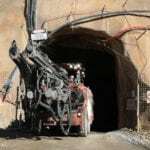 The company has restarted the mine with zinc prices at 10-year highs and with offtake agreements with Trafigura and Glencore secured.